* Australia and New Zealand are not noted as an aircraft manufacturers, but they have developed a number of interesting aircraft -- including the "Nomad" twin-engine utility transport; the "Fletcher" series of agricultural aircraft; the "Seeker" light observation aircraft; and the eccentric "PL-12" agricultural aircraft. This document provides a history and description of these machines. 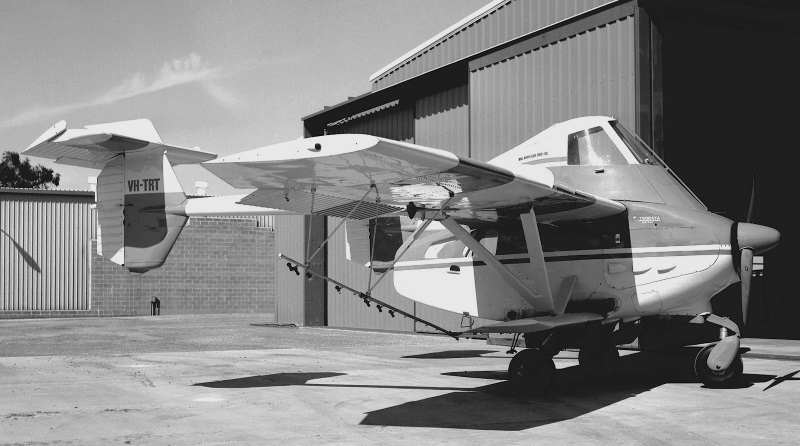 * In 1965, the Australian Government Aircraft Factory (GAF), began studies for a medium utility transport aircraft, leading the government to provide funding for two prototypes of what was designated the "N2 Nomad", with initial flight of the first prototype on 23 July 1971 -- leading to the initial production "N22" for the Australian Army. It was later dignified with the name "Missionmaster", to emphasize its distinction from purely civil variants of the Nomad. The N22 Nomad provides a baseline for the series. It was a boxy aircraft, made primarily of aircraft aluminum alloy, with a high, straight, braced wing; a tall tailfin with a steep forward fillet; and a straight tailplane mounted above the fuselage topline. Flight controls were generally conventional -- ailerons, flaps, elevators, rudder, and trim tabs -- and all manually actuated. The only peculiarity was that the double slotted flaps were in two sections, together spanning the wing, with the outboard section being "flaperons" that doubled as ailerons. De-icing boots were optional. The aircraft was powered by twin Allison 250-B17B turboprops, with 300 skW (400 sHP) each, driving metal three-bladed reversible Hartzell props. There were fuel tanks in the wings, with a total capacity of 1,018 liters (269 US gallons); integral wingtip tanks could be fitted to add 337 liters (85 US gallons) of capacity. Ferry tanks could be fitted in the cargo bay as well. The N22 had tricycle landing gear -- the steerable single-wheel nose gear retracting backwards, each the twin-wheel main gear retracting into a pod mounted on a stub wing on the lower fuselage. The wing struts connected to the pods. Retraction was electrically driven. The N22 had dual controls, and could carry 12 passengers. The cockpit side windows doubled as front-hinged doors, with built-in steps / handholds below the windows to provide access. There was a double door on the left rear fuselage, with an emergency escape hatch opposite on the right. The rear double-door was the passenger door, with a tilt-down steps. The front door was front-hinged into the forward door -- which was front-hinged as well, the two folding up together when opened. Originally, it was supposed to have a tail that pivoted to allow drive-in loading of cargoes, but that didn't happen. The N22 was heated and ventilated; air-conditioning was optional. There was a baggage hold in the nose, with doors on both sides; the nose could alternatively accommodate systems such as radar or survey cameras. The military variants of the Nomad had two stores hardpoints under each wing, for a total of four, each hardpoint with a capacity of 225 kilograms (500 pounds). The military versions also had removeable armor, and could be fitted with self-sealing fuel tanks. N22B: Civil airliner variant, with 13 seats. It had a baggage hold in the rear, with access from both the inside and the outside -- outside access being via a door on the left. It had a solid roof on top of the cockpit, unlike the glazed roof of the N22. About 35 were built. N22C: Freighter upgrade of the N22B, with increased maximum take-off weight (MTOW). N22F Floatmaster: N22B with floats / landing gear for amphibious operation, and ventral fin. Two were built, included in the total of 35 N22Bs above. Searchmaster B: A coastal patrol variant, with forward-looking Bendix 1400 radar in nose thimble radome, and extended-range fuel tanks. Optional kit included four underwing pylons, long-range fuel tanks, a floor hatch for paradropping rescue kit, and bubble observation windows. 22 were built. Searchmaster L: Like the Searchmaster B, but with Litton AN/APS-504(V)2 in an undernose radome, providing a 360-degree field of view, with similar radar systems also being fitted; as well as a long-range navigation system. 12 were built. The civil N22B was followed by the "N24A", which featured a fuselage stretched by a 1.4-meter (3 foot 9 inch) fuselage plug and a longer nose, with more baggage capacity. Overall length was increased to 14.34 meters (47 feet 1 inch), with empty weight increased to 2,375 kilograms (5,240 pounds). Passenger capacity was 17 seats; it had the solid roof and rear baggage compartment. 40 were built. The Australian Army leased the second prototype and then obtained 11 N22Bs during the 1970s. The Royal Australian Air Force (RAAF) obtained one N22B in 1977, though it was operated by the army, and passed on to the Army a decade later. In 1993, the army obtained 8 N22Bs and four N24As that had been remaindered when Nomad production ended, though they were all retired two years later. They may have only been passed on to the army for disposal. In 1989, the RAAF obtained a used Searchmaster L and three remaindered N-24As. The Searchmaster L had been flown by the Australian Coastwatch, the coast guard, which had obtained ten. One of the N24As was a factory test and trials machine, while the other two were from an order for the US Customs Service that fell through. It appears the RAAF Nomads were retired from 1993. The Indonesian Navy obtained 12 Nomad Searchmaster B and 6 Searchmaster L in the mid-1970s. After the Australian military gave up on the Nomad, Indonesia then acquired 14 retired N22Bs and six N24As. Other military users included Thailand, the Philippines, and several Pacific ocean nations, though details are scarce. There were a number of civil / commercial operators Down Under, most prominently the Royal Flying Doctors Service, and a smattering of operators elsewhere. Although the Nomad looked like a clean and utilitarian aircraft, it acquired a bad reputation, with about a fifth of those built lost in accidents. It appears that the worst problem was the Allison 250 engines, said to be unreliable -- which is puzzling, since the Rolls-Royce / Allison 250 engine has a long history, has been widely used, and is still in production. To be sure, it is primarily sold as a helicopter turboshaft, but it's fairly common for turboshafts to have turboprop counterparts; and no reason to think an engine that works well as a turboshaft should work poorly as a turboprop. However, it is true that the mating of an engine to an aircraft can be tricky, with much that can go wrong. It appears that another difficulty was that the Nomad only had a rudder trim tab which, along with the lack of autopilot, made it tiring to fly for long periods. A fair number of Nomads are still in service, including four flown by Air Safaris of New Zealand for air tours; it doesn't appear that the Nomad is seen as a hanger queen, much less a deathtrap. One might suspect there was nothing wrong with the Nomad that couldn't have been readily fixed, but GAF didn't do so. GAF became part of Aerospace Technologies of Australia in 1986, which is now Boeing Australia. The Nomad may have a future. 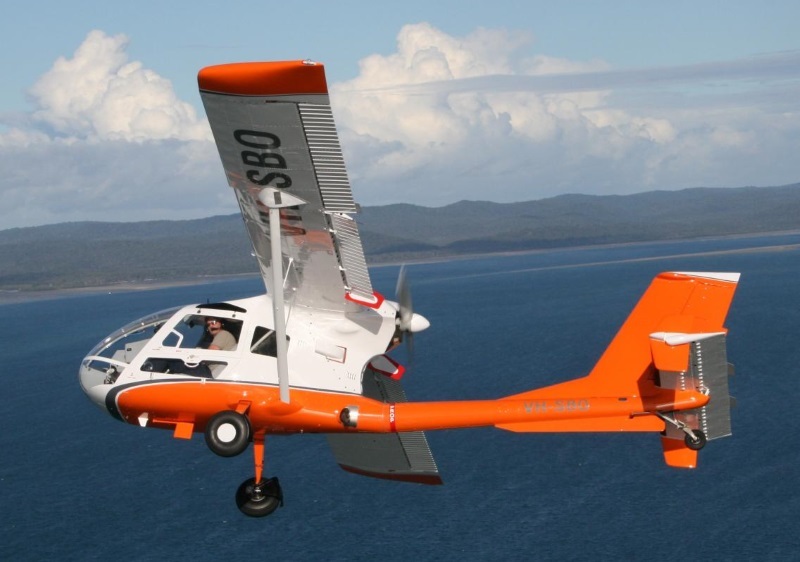 In 2008, Gippsland Aeronautics of New Zealand -- now GippsAero, majority-owned by Mahindra of India -- acquired the rights to the Nomad, announcing plans to put it back into production. The "GA18", as it was redesignated, would have new powerplants, a glass cockpit, and some airframe changes. 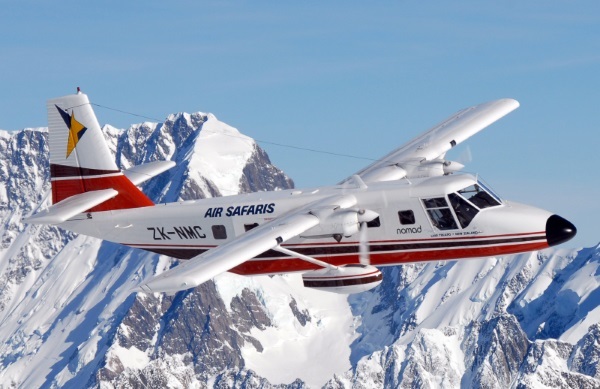 It hasn't happened yet, GippsAero having been focused on delivering the "Airvan 10" -- a turboprop single, very much along the lines of the popular Cessna Caravan. However, there's nothing ruling out an "Airvan 18" a few years down the road. Wait and see. * In the early 1950s, the Fletcher Aviation Company of Pasadena, California, -- founded by the brothers Wendell, Frank, & Maurice Fletcher in 1941 -- flew a light attack aircraft, the "FD-25 Defender", the brainchild of designer John Thorp. The FD-25 was a very light attack aircraft, being an all-metal single-seat design with fixed taildragger landing gear, powered by a Continental E-225-8 flat-six air-cooled piston engine with 170 kW (225 HP), driving a two-bladed fixed-pitch propeller. There was a fuel tank inboard on each wing, total capacity 230 liters (60 US gallons), with a refueling point on top each tank. The low-mounted wings were rectangular in configuration, the inboard panel being flat, the outboard having a noticeable dihedral. Flight control surface arrangement was convention -- one-piece flaps, ailerons, elevators, rudder, and trim tabs -- all being manually actuated. The pilot sat under a raised canopy that slid back to open. There was a 7.62-millimeter (0.30-caliber) Browning machine gun in each wing, plus four stores pylons under each wing, for a total of eight. A typical external warload was 40 70-millimeter (2.75-inch) unguided rockets. Three prototypes were built, including two "FD-25A" single-seaters and one "FD-25B" tandem two-seat trainer. The sporty Defender looked like it would have been fun to fly, but it was very dubious as a battlefield "mudfighter", not up to handling an environment notoriously dense in flying metal. Toyo of Japan bought up rights to the design and sold ten, including six to Cambodia and 4 to South Vietnam. It is not clear what happened to these machines -- though one Defender has survived and is in flying condition, appearing at airshows in the USA. * The Defender led to a series of new designs. A group of New Zealand agricultural aircraft operators visited the United States in the early 1950s, seeking an agricultural aircraft to replace the war surplus De Havilland Tiger Moth trainers that were being used in that role with something more effective. 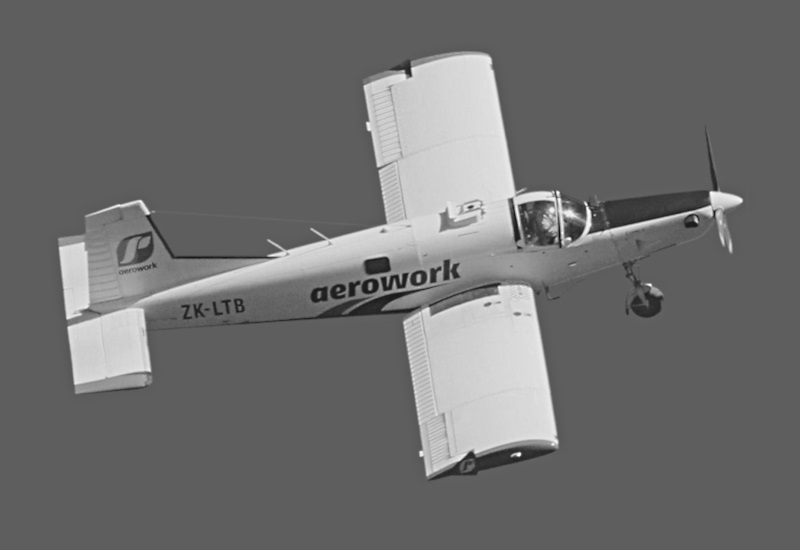 They spoke with the Fletcher company, with Wendel Fletcher and John Thorp then coming up with a design for an agricultural aircraft, based on the Defender, to be designated the "FU-24". The New Zealanders liked the design and took out options on a hundred. A New Zealand farming company, Cable Price Corporation, provided funding to the Fletcher company to build two prototypes, while the New Zealand Meat Producers Board provided financial guarantees. Initial flight of the prototype of the "FU-24" was on 14 June 1954. The prototype was then broken down and shipped to New Zealand, along with a breakdown kit of an unflown second prototype. The two aircraft were assembled and flown by James Aviation of Hamilton. The prototype design featured an open cockpit, and was powered by a Continental O-470-E flat-four engine with 165 kW (225 HP), driving a two-bladed propeller. General configuration of the FU-24 was like that of the FU-25 Defender, notably featuring the distinctive wing with flat inner panels and dihedral outer panels -- but with fixed tricycle landing gear and a capacious rear fuselage, the cockpit being set well forward. First, an O-470-M engine with 180 kW (240 HP). Second, a fuel-injected IO-470-D engine with 195 kW (260 HP). Third, a fuel-injected flat-six IO-520-F engine with 225 kW (300 HP). The engine drove a two-bladed variable-pitch propeller. There was a fuel tank in the inboard leading edge of each wing, total usable fuel capacity being 166 liters (44 US gallons). The FU-24 had a hopper in mid-fuselage, with a feed hole on top, and dispersal gear underneath. The airframe was heavily corrosion-protected to protect against agricultural chemicals. There was a bench seat for two in the cockpit; dual controls were optional, machines fitted with them being designated "FU-24A". Some machines would be built for the utility role, with a forward-hinged door on the left, five removeable passenger seats, and passenger windows on each side behind the cockpit. The door would eventually become standard in all production. The type became popularly known just as the "Fletcher". The primary role was "top dressing", which was aerial dispersal of fertilizer, with aerial seeding being a secondary role. From 1957, sales were through a new firm named "Air Parts", with assembly by James Aviation at the outset. There were many minor tweaks to the design through production, and many confusing variations in configuration; sometimes its seems that no Fletchers were alike, or at least it wouldn't be a good bet that any two of them picked at random were exactly the same. Significantly, after the 257th aircraft the engine was changed to a Lycoming IO-720-A1A flat-eight with 300 kW (400 HP), with many earlier machines updated to the same engine. Fuel supply was increased to 253 liters (67 US gallons), or 481 liters (127 US gallons) with optional auxiliary tanks, with their own refueling points. The first of these "FU-24-950" Fletchers were delivered in 1967, with manufacture wholly performed by Air Parts, which had bought the rights to the design from Fletcher in 1964. A utility version with seven passenger seats was also available. One Fletcher was temporarily test-fitted with a geared Continental GIO-470A engine with 230 kW (310 HP), but that engine was never used in production. There were various conversions of FU-24s with the Pratt & Whitney Canada (PWC) PT6A turboprop, the Garrett / AiResearch (now Honeywell) TPE331 turboprop, a Walter turboprop, and even V8 truck engines. Over 300 FU-24s were built to the end of production in the mid-1990s, with the type exported to Australia, Bangladesh, Dubai, Iraq, Pakistan, Thailand, Uruguay, and the USA. * From the mid-1960s, Air Parts tinkered with a production turboprop-powered derivative of the FU-24, first flying a "Fletcher 1060" in 1967 featuring a PWC PT6A-20 turboprop, driving a three-bladed variable-pitch propeller; a fuselage stretch immediately behind the cockpit; plus longer and stronger wings with more fuel capacity. Later in the same year, they flew a "Fletcher 1160" that was much the same, but had a TPE331 turboprop. After further, and again confusing, experimentation, the production "Cresco" -- the name meaning "I grow" in Latin -- was introduced into production in 1982. By that time, through a number of bewildering changes, the manufacturer had become Pacific Aircraft Corporation (PAC) of New Zealand. The Cresco was initially powered by a Lycoming LTP101-700A-1A turboprop, with 445 kW (600 SHP) -- this variant being named the "Cresco 08-600" -- but later production was fitted with a PWC PT6A-34AG engine, with 560 kW (800 HP), this variant being the "Cresco 08-750". The engine drove a three-bladed variable-pitch propeller; there were two fuel tanks in each wing, each with its own refueling point, total capacity being 545.5 liters (144 US gallons). The Cresco was primarily intended as a agricultural aircraft, but it also was sold as a skydiving platform, with a roll-up side door, carrying up to nine, somewhat cramped, sky-divers. It was also used as an air tanker -- that is, aerial fire-fighter and one has been used for geosurvey, featuring a tailboom for a magnetometer. The Cresco went out of production after the turn of the century; it hadn't proved popular, with only somewhat more than 30 sold. * The Cresco, it appears, was a bit much for the ag-aircraft market, but not enough for the utility market -- and so it was rethought with a new fuselage as the "PAC 750XL" -- originally "Cresco 750XL", though it was never sold under that name -- with first flight on 5 September 2001, and deliveries from 2004. It was later redesignated as "P-750 XSTOL", for "extreme short take-off / landing", emphasizing its short-field operation; it is generally called "P-750" here for simplicity. A roofed cockpit, with windows / doors on each side for crew access, with built-in steps / handholds below to allow climbing in. Seating for up to nine passengers, the seats being easily removed for cargo hauling or other missions, and the floor featuring cargo tie-downs. Double side-hinged doors on the left rear fuselage, and large passenger windows. Like the Caravan, the P-750 can be fitted with a ventral cargo pannier. It has a fixed ventral fin, presumably to compensate for the pannier. The original P-750 was powered by a PT6A-34 turboprop with 560 kW (750 SHP), driving a three-bladed Hartzell reversible propeller. There are four fuel tanks in the wing center section, total usable fuel capacity being 841 liters (222 US gallons). The wings have distinctive triangular root extensions. The P-750 features a Garmin glass cockpit. 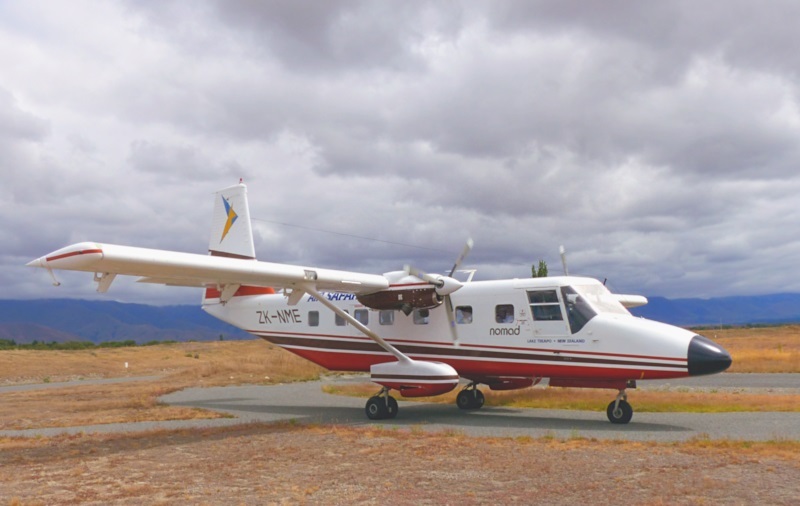 Although it was initially sold for skydiving -- being able to carry up to 17 skydivers -- the P-750 is also used in passenger-cargo service, medevac, agriculture, photo survey, and geosurvey roles. An armed version was in the works at last notice, being named "Defender II" in honor of its distant ancestor. An improved "Super-PAC XL" variant was introduced in 2018, featuring a Honeywell TPE331 engine with 670 kW (900 HP) and a four-bladed propeller. The design continues to be refined, with the company working on a reduced-weight airframe featuring composite assemblies. Over 120 P-750s have been sold to date. * In 2016, Pacific Aerospace Limited -- PAL, the current manifestation of PAC -- signed a joint venture agreement with the Beijing General Aviation Company (BGAC), a subsidiary of the Beijing Automotive group. 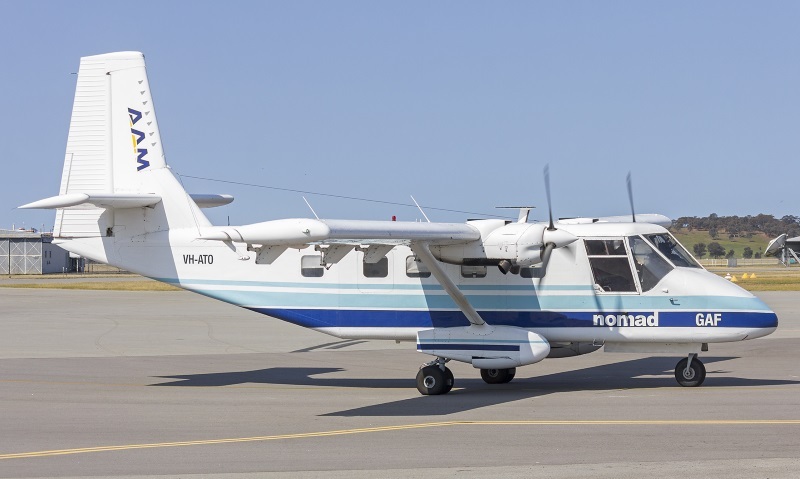 The joint venture, named "Beijing Pan-Pacific Aerospace Technology (BPAT)", set up a manufacturing facility at Changzhou Airport to roll out the PAC P-750 XSTOL. A Chinese manufacturer of drones -- more formally "unpiloted aerial vehicles (UAV)" -- named Longxing UAV Systems, working with the Institute of Engineering Thermophysics of China -- has used the type as a basis for a cargo drone, the "AT200", which performed its first flight in October 2017. It looks just like the PAC 750 XSTOL, except for the fact that all its windows are blanked out. The idea is to provide a short-haul service for time-dependent cargoes like fruits and vegetables, to serve small and relatively inaccessible towns. It doesn't appear to have gone into formal service yet. * In the 1980s, a retired Australian pilot named Don Adams -- who had run a flying company that did agricultural work and light air cargo delivery -- got bored with the retired life, and decided to start a company named "Seabird" to develop his own aircraft. 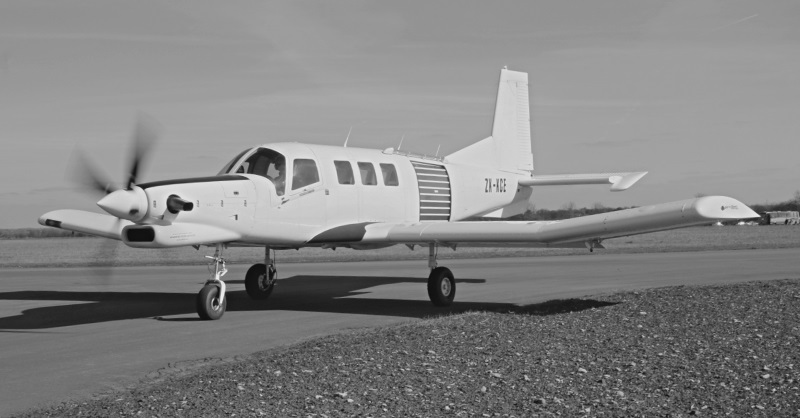 What he ended up building was the two-seat observation aircraft, with first flight of the "SB5N Sentinel" prototype on 1 October 1989, this machine being powered by a Norton rotary (Wankel) engine, hence the "N" suffice. It was followed in 1991 by a second prototype, the "SB5E Sentinel", with an Emdair engine; a static-test airframe followed. The Norton and Emdair engines didn't prove satisfactory, so the machine was redesigned for Lycoming power, with an "SB7L-235 Seeker" prototype flying later in 1991 -- this machine being powered by a Lycoming O-235 flat-four air-cooled engine with 90 kW (115 HP). The full-spec "SB7L-360 Seeker 2" performed its initial flight in 1993, this machine being powered by a Lycoming O-360 flat-six air-cooled engine. Production machines were designated "SB7L-360A". The Seeker was intended for roles like pipeline inspection and border security. It was seen as a lower-cost alternative to a helicopter for users who could operate a fixed-wing aircraft off of dirt roads or the like. It is a tidy, endearingly toylike, simple, and relatively inexpensive design. A rounded, forward-placed cockpit, resembling that of classic helicopters like the Alouette III, with excellent field of view. A high-mounted, rectangular braced wing, with a piston engine in the middle driving a pusher prop. 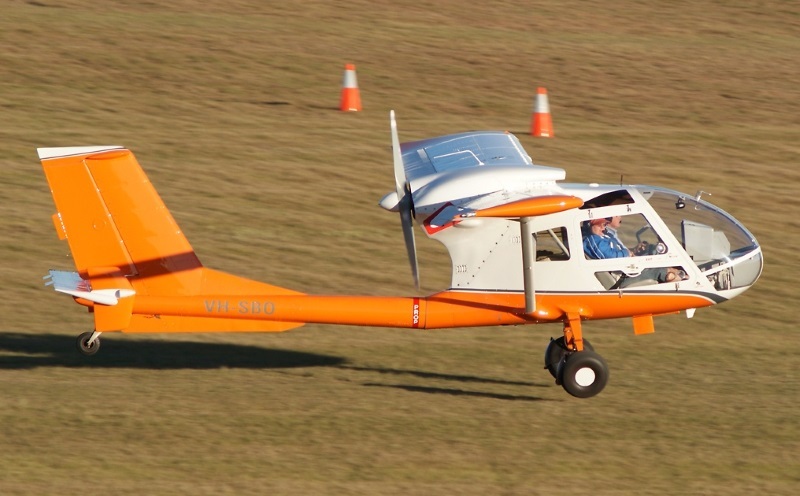 Of course, the Seeker is not an amphibian, instead having fixed taildragger landing gear, the main gear legs being of spring steel configuration, acting as shock absorbers. The flight-control surface arrangement is conventional, including ailerons, one-piece slotted flaps, rudder, elevators, and trim tabs -- all manually actuated. The leading edge of each wing is drooped outboard, and there's a small wing fence inboard, these two features being added in later production. The tailplane has finlets at its ends, and there are two fixed ventral strakes under the tail. It seems the turbulent airflow from the pusher prop dictated the additions to the tail surfaces. The standard powerplant is a Lycoming O-360-B2C with 125 kW (170 HP), driving a two-bladed fixed-pitch wooden prop. The "SB7L-36A3" variant is powered by a Lycoming IO-390-A1A6 engine with 150 kW (200 HP). Engine cooling was a problem with the Sentinel prototypes, that being a common difficulty with pusher aircraft, since the engine isn't in the prop wash; but the Seeker replaced the ineffective underwing scoops with a much more effective topside scoop scheme. There is a fuel tank in each wing, with its own topside refueling point, total usable capacity being 172 liters (45.4 US gallons). There are two seats, both adjustable. In principle, the right seat can be removed to allow fit of a stretcher, a photosurvey model, or other payload -- but apparently that's rarely or ever done. There are split doors on each side of the cockpit; the doors can be removed if desired. There's cargo space behind the seats. An imaging turret or other sensor can be fitted under the forward fuselage; the pusher prop and taildragger landing gear gives it a unobstructed forward view. The sensor can be datalinked to a ground station. There is a stores attachment point under each wing, each having a payload capacity of 60 kilograms (132 pounds). The stores attachments are "wet" and can carry external fuel tanks, but it doesn't appear many or any users have exploited that feature. The Seeker can be armed, with machine-gun / cannon pods, 7-round rocket pods, or other light munitions. It is not clear that they have ever been flown armed, or that they have ever been flown with turrets featuring a laser target designator for smart munitions. A joint venture was established in Jordan 2003, with "Seabird Jordan" to assemble, fit out, and ultimately build Seekers. Only about 20 Seekers were sold up to 2014, with users including the Jordanian Air Force, Iraq Air Force, Ghana police, South Africa park service, Tanzania Air Force, and Yemen Border Guards. Two A3 machines were obtained by Ergon Energy of Australia, these being "optionally piloted", capable of being flown as drones, being designated "Remote Observation Automated Modeling Economic Simulation (ROAMES)". They have a distinctive belly pack behind the main gear, presumably to haul additional avionics. The company was bought out in 2014 by Seeker Aircraft America, a subsidiary of CSI Aviation -- a firm out of Albuquerque, New Mexico, that arranges charters for Federal agencies, and operates a fleet of King Airs for medevac and other missions. The CSI operation is better-connected, not merely with US agencies, but also with foreign governments in Africa and elsewhere. 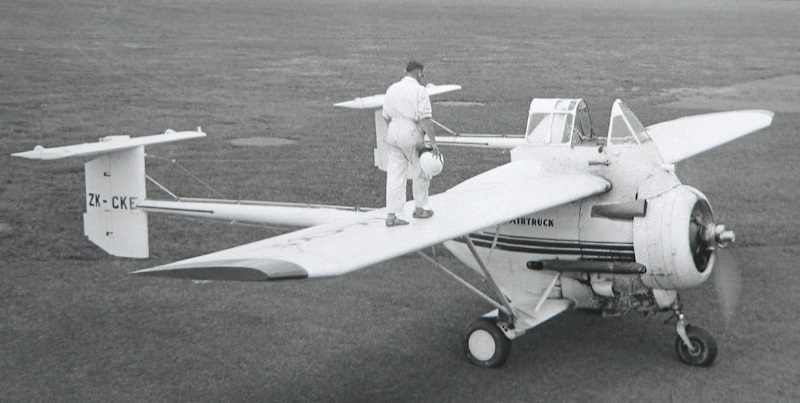 * Although Australian aircraft tend toward the unusual, none was more so than the Transavia "Airtruk", an agricultural aircraft of highly unorthodox configuration. The story began in the mid-1950s, when aircraft designer Luigi Pellarini -- who had emigrated from Italy to Australia in 1952, feeling the prospects for developing aircraft better there than in Italy -- designed a demonstrator agricultural aircraft designated the "PL.7" for the Kingsford Smith Aviation Service, It was an awkward-looking aircraft, a biplane with unequal-span wings -- stub lower wings, long upper wings -- a twin-boom tail, and fixed tricycle landing gear. It was powered by a 7-cylinder air-cooled Armstrong Siddeley Cheetah X radial engine with 300 kW (400 HP), driving a two-blade fixed pitch propeller. The cockpit was at the rear of the fuselage pod. Length was 12.2 meters (40 feet 10 inches), length was was 7.47 meters (24 feet 6 inches), and loaded weight was 2,270 kilograms (5,000 pounds). Initial flight was on 21 September 1956; the PL.7 seems to have flown well enough, but the Kingsford Smith company decided to convert Commonwealth Aircraft Corporation (CAC) Wackett trainers to the agricultural role instead, the conversions being given the name of "Yeoman Cropmaster". The PL.7 went into storage, to be destroyed in a fire in 1958. The cockpit was placed behind the engine, not at the end of the fuselage pod; and perched very high, vastly improving the forward view. The single tailplane of the PL.7 was split in two, giving separate tail units at the end of each boom. This was done to make it easier to back a vehicle up to the rear of the fuselage pod, to facilitate loading, and also to reduce fouling of the tailplane during spraying operations. The PL-11 leveraged off assemblies from the North American Harvard trainer -- that being the name of the T-6 Texan trainer in British Commonwealth service, Bennett Aviation having accumulated a stockpile of Harvards. The PL-11 was powered by the Harvard's Pratt & Whitney R-1340 nine-cylinder air-cooled radial engine, with 410 kW (550 HP), driving a variable-pitch two-bladed prop. The Airtruck could either be fitted with a fertilizer hopper, or accommodations for five people. Only two Airtrucks were built, the first prototype being lost in a crash in 1963. The second machine flew in 1965, being designated the "Waitomo PL-11" due to change in organization structure; it went into service in early 1967, only to soon crash. There are unconfirmed rumors a third Airtruck was almost completed, but never flew. * However, the PL-11 was seen as promising, with Transavia Corporation picking up the design, which was then altered to eliminate all the Harvard assemblies. Initial flight of the "PL-12 Airtruk" -- the spelling of the name was altered to avoid conflict with the PL-11 -- on 22 April 1965. It was certified in early 1966. The PL-12's configuration was generally the same as that of the PL-11, the most noticeable difference being that the PL-12 was powered by a Rolls Royce Continental IO-520-D flat-six air-cooled engine, with 225 kW (300 HP), driving a variable-pitch two-bladed propeller. There was a fuel tank in each upper wing, total capacity being 189 liters (50 US gallons); there were optional upper wing auxiliary tanks that doubled fuel capacity. There was a refueling point on top of each wing. The aircraft featured a welded steel tube frame, with aluminum alloy covering, as well as some fiberglass assemblies. Flight control surface arrangement was conventional, with ailerons, flaps, rudders, tailplanes, and trim tabs -- there were no flight control surfaces in the lower stub wings. There were prominent wing fences in each wing, one on each side of the front of the tailboom, to ensure proper airflow over the tail assemblies. The PL-11 didn't feature the wing fences. The fuselage was built around a chemical / seed hopper in the center, the hopper being made of corrosion-resistant materials. The engine was in front of hopper on the aircraft's lower deck, with the cockpit on the upper deck. There was a loading hole for the hopper on top of the fuselage behind the cockpit. There was a passenger compartment on the rear lower deck, which could be used to carry two passengers and gear. The cockpit had a forward-hinged door on the right, with the pilot climbing up on top of the wing to get inside using steps / handholds built into the left rear fuselage. The passenger compartment had a front-hinged door on the left side of the fuselage. The aircraft was ventilated and heated. T-300: Lycoming IO-540-K1A5 flat-six engine with 225 kW (300 HP), driving a three-blade Hartzell propeller. This variant was marketed, at least during part of its production life, as the "Skyfarmer", leading to some confusion as to what the "official" names of the PL-12 variants really were. They are all lumped together here as "Airtruk" for simplicity. There was also a "T-300A" with minor improvements. T-320: Continental Tiara 6-320-2B flat-six engine with 240 kW (320 HP). T-400: Lycoming IO-720 flat-8 engine with 300 kW (400 hp). It was introduced in 1985; it had extended tailbooms and various aerodynamic refinements. 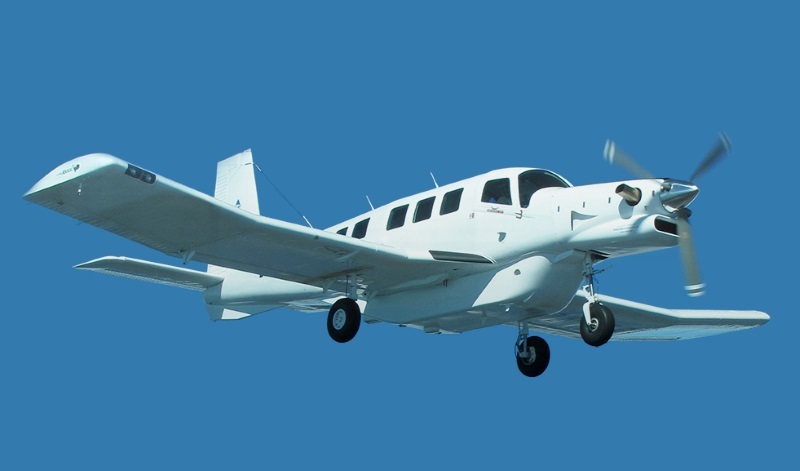 PL-12 550T: To be powered by a hp Pratt & Whitney Canada PT6A turboprop with 410 kW (550 HP). PL-12 MIL AKA M-300: A multi-role military variant, to be used in utility transport, air ambulance, forward air controller, and light attack roles. The AirTruk was even more toylike in appearance than the Seeker, if not anywhere near as tidy -- some regarding it as not exceeded by any other aircraft in ugliness; others as cute in an ungainly sort of way. It's a bit disappointing it didn't play a role in the Disney PLANES movies as a cartoon character. However, it was, in spite of its comical appearance, a cleverly-designed aircraft, very effective, as sturdy as a flying tractor, and by all appearances great fun to fly. One was used in the 1985 post-apocalypse movie MAX MAX BEYOND THUNDERDONE, and a number are still flying today, with others set up as static museum exhibits. One at the Australian Aviation Museum in Sydney is a PL-12U put together from several Airtruks, painted up with camouflage and red crosses as a PL-12 MIL air ambulance -- though the Airtruk never had a military career. * Finding data on these aircraft was troublesome. I leveraged off the online Wikipedia for starters, found some other sources online and on Youtube, but ended up relying heavily on my set of JANE'S ALL THE WORLD'S AIRCRAFT.